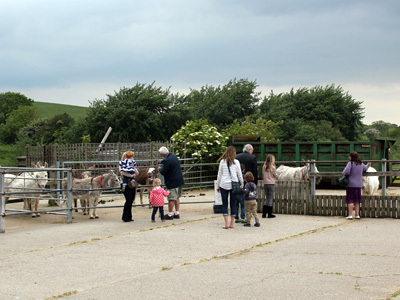 Isle of Wight School Day Trip | Donkey Day Out! "A fascinating insight into the world of donkeys, ideal for KS1 up to KS3. Get up close with these gentle and lovable creatures." You wouldn't believe in how many places the humble donkey touches the National Curriculum! 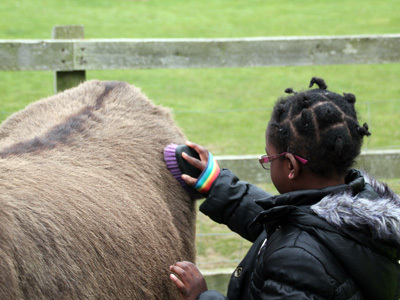 From their heritage as working animals through to the biology of their characteristics, Isle of Wight Donkey Sanctuary offers younger students an ideal opportunity to observe close to 100 of these fascinating animals in close proximity. 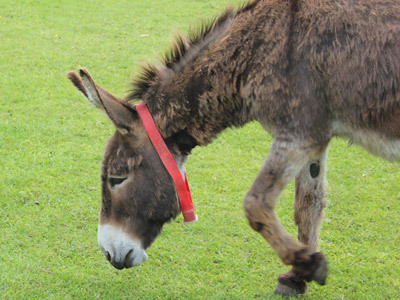 As well as the more obvious science and biology subjects, we have also developed a wide range of activities in other curriculum aspects using the donkeys and the sanctuary as reference - for example our Donkey Data KS1 Maths resource and our estimation and problem-solving tasks for KS2 and KS3. 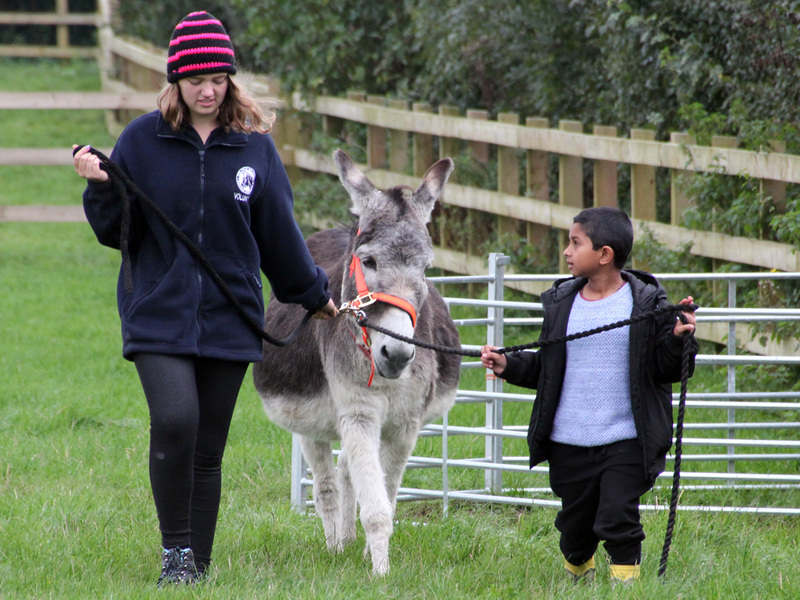 Whatever you're studying, we're bound to be able to link it with the Donkey Sanctuary, providing an ideal stimulus for learning outside the classroom! 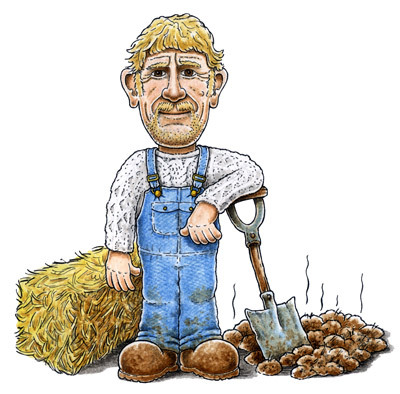 Let them run off some steam using our PSHE "Spot the Donkey" challenge before taking lunch in the picnic area or settling down to some proper work in the barn classroom, with hay bales for chairs! All of the donkeys have different features and characteristics, and for the younger students who might not spot the more subtle nuances, each donkey at the sanctuary has its own colour coded name 'necklace' for ease of identification. 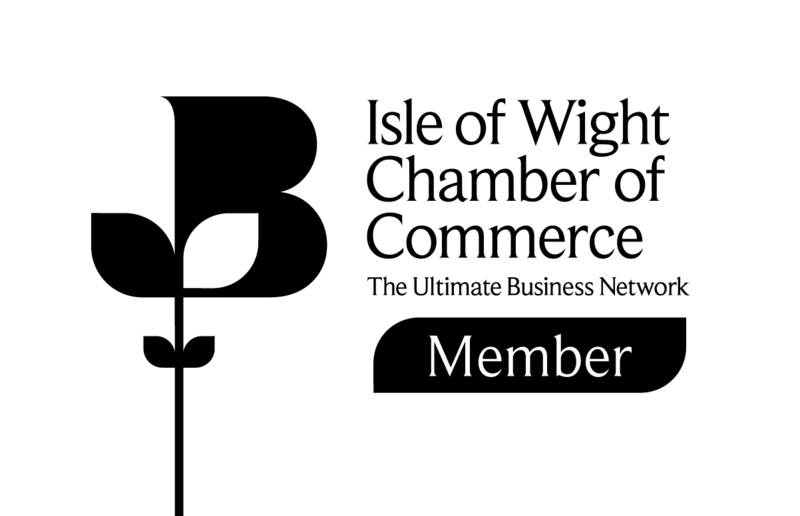 Subject to availability, we can arrange a question and answer session with Charlie, the original founder of the Isle of Wight Donkey Sanctuary. Charlie's story is a fascinating one - he used to be the local postman in an Isle of Wight village who slowly but surely amassed a collection of rescued donkeys! Bring a group of 50 or more students and we'll include a 12-month VIP donkey sponsorship for your school! Shortly after your return to school you'll receive an adoption pack including full details about your donkey, with regular updates throughout the year. This section highlights any on-site activities which have educational relevance. Take a walk with one of our more sedate donkeys! Learn how to approach and comfort the animals then lead them successfully around the paddock. Linked resources...104191 | KS2L | Any Questions? Using questioning skills at the Donkey Sanctuary.104192 | KS2L | Question and Investigate!104181 | KS2U | Any Questions? Using questioning skills at the Donkey Sanctuary.104182 | KS2U | Calling Relentless Researchers! Questioning for Information at the Donkey Sanctuary104171 | KS3 | Any Questions? Using questioning skills at the Donkey Sanctuary.104172 | KS3 | Calling Inquisitive Interviewers! 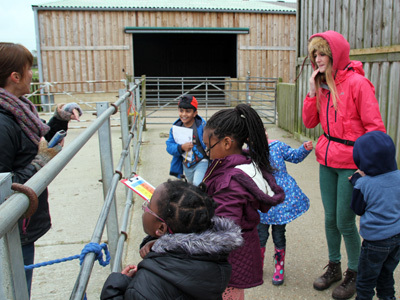 Using questioning skills at the Donkey Sanctuary.104071 | KS1 | Any Questions? Using questioning skills at the Donkey Sanctuary. 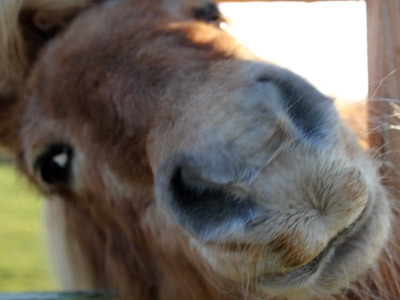 Learn to identify the differences between donkeys and ponies at close quarters! Linked resources...104041 | KS1 | Finding Features! Comparing Donkeys and Ponies104042 | KS1 | Finding Features! Comparing Donkeys and Ponies104191 | KS2L | Any Questions? 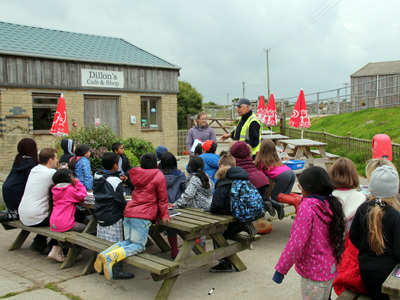 Using questioning skills at the Donkey Sanctuary.104192 | KS2L | Question and Investigate!104181 | KS2U | Any Questions? 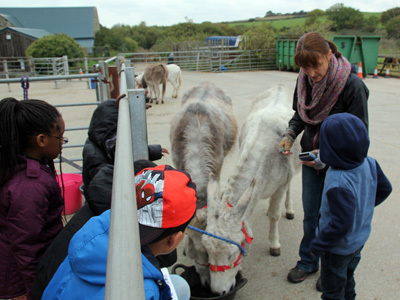 Using questioning skills at the Donkey Sanctuary.104182 | KS2U | Calling Relentless Researchers! 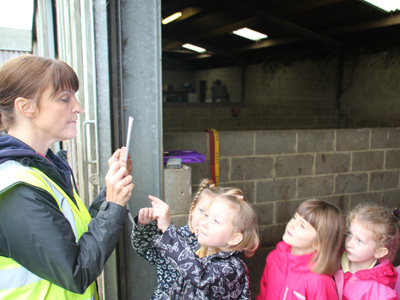 Questioning for Information at the Donkey Sanctuary104041 | KS1 | Finding Features! Comparing Donkeys and Ponies104042 | KS1 | Finding Features! Comparing Donkeys and Ponies104171 | KS3 | Any Questions? Using questioning skills at the Donkey Sanctuary.104172 | KS3 | Calling Inquisitive Interviewers! 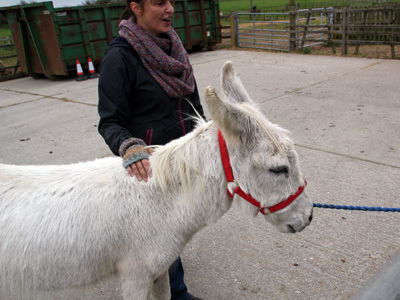 Using questioning skills at the Donkey Sanctuary.104161 | KS2L | Understanding Donkey Features104162 | KS2U | Understanding Donkey Features104163 | KS3 | Understanding Donkey Features104071 | KS1 | Any Questions? Using questioning skills at the Donkey Sanctuary. Try to identify the mixed-up donkeys by scanning their microchips! 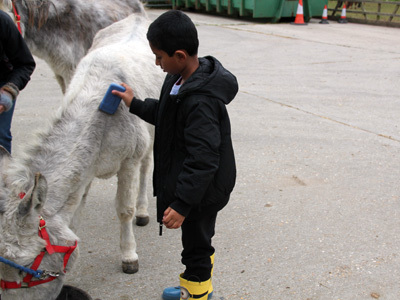 Help the farm staff with their donkey grooming duties! Learn how to "condition score" a donkey and help the farm staff check the herd! Linked resources...104191 | KS2L | Any Questions? Using questioning skills at the Donkey Sanctuary.104192 | KS2L | Question and Investigate!104181 | KS2U | Any Questions? Using questioning skills at the Donkey Sanctuary.104182 | KS2U | Calling Relentless Researchers! Questioning for Information at the Donkey Sanctuary104171 | KS3 | Any Questions? Using questioning skills at the Donkey Sanctuary.104172 | KS3 | Calling Inquisitive Interviewers! Using questioning skills at the Donkey Sanctuary.104051 | KS2L | Scores of Donkeys!104052 | KS2L | Scores of Donkeys!104071 | KS1 | Any Questions? Using questioning skills at the Donkey Sanctuary. Use the interpretation boards positioned around the sanctuary to answer our list of FAQs! Linked resources...104021 | KS2L | Spot the Donkey! Team Challenge104022 | KS2U | Spot the Donkey! Team Challenge104023 | KS3 | Spot the Donkey! Team Challenge104013 | KS3 | Donkey Sanctuary Treasure Hunt!104012 | KS2U | Donkey Sanctuary Treasure Hunt!104011 | KS2L | Donkey Sanctuary Treasure Hunt! Q: IS THE DONKEY SANCTUARY SUITABLE FOR WHEELCHAIRS? A: Many paths are concrete although the walkways through the paddocks are grass which might cause difficulties after prolonged wet weather. For most of the year however wheelchair users will have no problem navigating the site. There are plenty of handwashing facilities around the site too. There is a disabled loo. Q: WHAT HAPPENS IF IT RAINS ON THE DAY OF THE VISIT? A: For school visits with hands-on activities planned in advance, the activities will take place indoors in the event of poor weather. Certain activities such as the outdoor "treasure hunt" may need to be substituted for alternatives. There's plenty of choices! Why not stay overnight in one of our many accommodation options and visit working donkeys at Carisbrooke Castle? See them working the giant water wheel, exactly as they have done for hundreds of years! 14:45 Load up the coach for the return journey. Wave goodbye to the donkeys!